Have you ever met someone with contacts who didn’t complain about them? Yep, we haven’t, either. 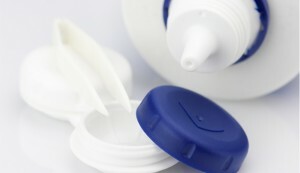 A new report in Investigative Ophthalmology and Visual Science found contact lens discomfort affects up to half of contact lens wearers—and there’s reason to believe that number could be even higher. The report is the culmination of 18 research-packed months conducted by 79 eye experts all talking about those little plastic circles. But beyond the common sense of contact care—like not taking them out when you’re supposed to—contact comfort is way more multifaceted than we ever thought. No amount of actual pain is normal. “Generally speaking, contact lens wearers do not experience the symptom of ‘pain’ unless something is very wrong with the eye,” such as an infection, says Dr. Nichols. Life threatening infections are rare, and are easy to prevent by using the best contact lens materials and caring for yours as recommended by your doctor. That annoying dryness and discomfort, especially at the end of the day, is. And they often result in you wearing your contacts a lot less than you’d like to. Unfortunately, the experts on board weren’t able to identify any actual causes. The research hints at a possible lead regarding the eyelids, but “the symptoms associated with contact lens discomfort are frequent and real; there is indeed much to be understood about this problem,” says Nichols. Patients are more apt to stop wearing their contacts all together than actually consult their eye doc. Contact lenses are FDA-regulated medical devices and the second most common vision-correctors in the world. And yet, patients end up taking matters into their own hands. The consequences? Inability to wear them as long as you’d like, inflammation, and even infection (depending on the symptoms).